Anushray Singh is a civil engineer, writer, and a filmmaker. 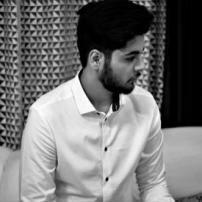 He has completed his engineering at the coveted VIT University in 2017 and is en route becoming a professional writer and a filmmaker. He has a penchant for writing blogs and flash fiction regarding psychology, philosophy, social issues, and filmmaking. He has also created numerous short films, visual poems, and travel documentaries. He also has an experience in media production and logistics.